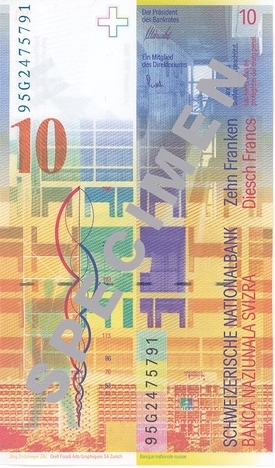 The portrait of the front side of 10 Swiss franc note shows Charles-Edouard Jeanneret, better known as Le Corbusier (1887-1965), one of the outstanding masters of modern design. 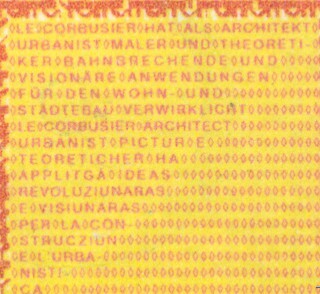 He was architect, town planner, urbanist, painter and theoretician. 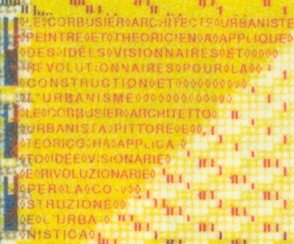 A portrait is accompanied by a photograph in the top left corner showing Le Corbusier in a typical work situation.